Delivering a single 5 star experience is not difficult. Consistently and regularly delivering the same 5 star experience across thousand’s of homes is. We have a 73 point cleaning checklist for our regular homes to ensure we are always hitting the mark. 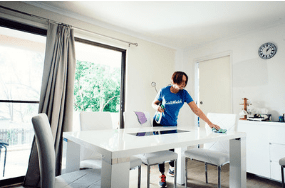 What House Cleaning Services Do We Offer? We specialise in regular cleaning services. However, we also offer a select number of other options and extras which you can find below. 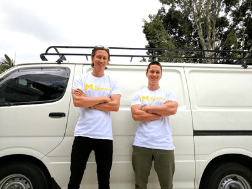 Unsure what you need done for your house cleaning in Melbourne? 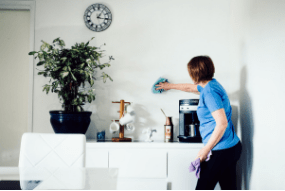 Just book in for a standard house clean and let us know what we should look out, your team will take a look when they arrive at your home and call our support team to organise the extras with you. As the state capital of Victoria, Melbourne is Australia’s second most populated city. The city itself is situated on the well known natural bay of port Phillip and than expands inland into the beautiful regions of Dandenong and Macedon ranges, and the Mornington Peninsula and Yarra Valley. During the state’s gold rush of 1850’s Melbourne became one of the largest and wealthiest cities in the world. Prior to the European settlers arrival, it is estimated the land had been inhabited for 31,000 to 40,000 years. This included the following indigenous tribes: the Wurundjeri, Boonwurrung and Wathaurong. With many Australians, Melbourne is known as the cultural hub of the country. Since 2010, it has been awarded the world’s most liveable city based on its high ratings in health care, education, entertainment, sport and tourism. Transport options to and within the city are vast and reliable. The primary airport is the Airport also known as Tullamarine Airport and is the second busiest in Australia. The busiest seaport in the country for containerised and general cargo is the Port. There is also a very active train and tram system which operates through the city which is used by thousands of locals and tourist alike every day. We’ll Make Your Home Sparkle! 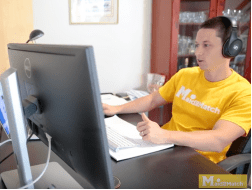 Why Should You Hire A Professional For Your Home?